These are the perfect Acoustic Bands for weddings, corporate events & parties in East Sussex, locally sourced by our entertainment experts. Find the best East Sussex Acoustic Bands only at Alive Network, the UK's biggest entertainment agency. Providing a sophisticated Parisienne ambience to any event, The Gypsy Creams are the UK's longest-running Gypsy swing trio perfect for champagne receptions, wedding breakfasts, parties and restaurants. Acoustic Karma are a dynamic duo available to hire for all kinds of events. Made up of singer Lizzy & guitarist Duncan, they play a wide variety of acoustic arrangements of classic & contemporary songs from Michael Jackson to Eva Cassidy & more! Want help finding your perfect East Sussex acoustic band? If you would like assistance finding the perfect live acoustic act for your event in East Sussex, simply give us a call or submit the quick enquiry form below and one of our talented entertainment coordinators will be happy to assist. 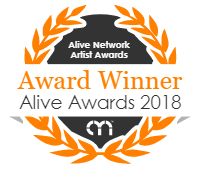 Alive Network are East Sussex's largest live music and entertainment agents and one of the leading live entertainment agencies in the UK. We specialise in providing East Sussex's best live acoustic artists, singers, musicians, DJs and entertainers for events across East Sussex.